Welcome to the 2011 Junk 2 Funk show, held annually at Montana State University to raise money for Engineers Without Borders. 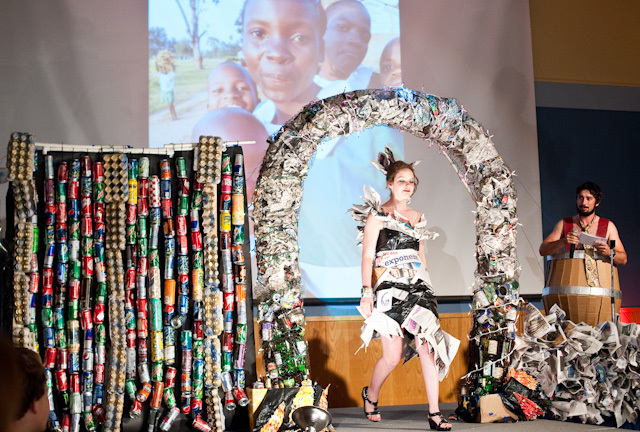 The show used be called “Trashion,” but the goal is the same: help EWB help some people in Africa have clean water. Entrants have to make costumes out of garbage and the results Saturday night were amazing. I thought of you when she won.